Know how to NBI clearance renewal online. NBI Clearence is considered one of the other mandatory identification requirements in the Philippines, with the help of this, a person can get a proof of no criminal offenses or abusive records. This online upgraded service of NBI provides the facility to each person who has the old NBI clearance, and able to easily renew online. 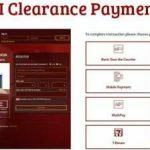 The online service of NBI is a highly appreciable online service, which is rapidly processing and releasing of NBI clearance also know requirements of NBI clearance. NBI clearance renewal online service is available only to those who received their approval from 2014 to 2018. Those who still have the old NBI clearance renewal, whether it is original or photocopy, but their NBI ID number is still readable. 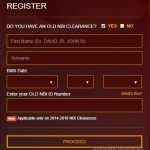 How to Renew NBI Clearance online? Here you will get the step by step process for how to renew your NBI Clearance or NBI clearance renewal online. First of all you have to visit the official website of NBI Clearance Online at www.clearance.nbi.gov.ph. After visiting the site you will get a registration form and get a question that “Do you have an old NBI Clearance”, you have to tick the “YES” option.Now, provide your name, date of birth, your Old NBI ID Number, and click the ‘proceed’ tab. Now, click on “I Agree” tab and click on the sign up option. Now the type of your application will already be converted to “RENEW” and you can edit the application by clicking the Edit Notifications button in the upper right corner of the page. After this, click on the application for clearance button. A confirmation box will appear in which you have to enter the ID to get approval in the NBI clearance center or NBI branch. After reading the given reminder, click the Close button and set an appointment. For this you have to select your nearest NBI branch. For NBI clearance you need to set time, date, purpose and purpose details. You need to pay after the above process, and for this, you can take the multiple options such as Pay at 7-Eleven Store, ECPay, Multipay, Bayad Center, Mobile Payment, Online Bank or Bank over the Counter. Remember, that all the instructions have been for all kind of payment process. After paying the payment, go back to your account and see if the payment is already verified and you will have to click on the transaction menu to see it. But if payment is pending, wait for the payment to change. It is not necessary to print the application form, you can do it by clicking on the print application form button. Remember this is not the official site of NBI clearance renewal so, don’t share your personal details over here such as your date of birth certificated, mail id, password and much more. If you have any query then you can comment in comment section below. 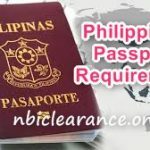 To know more about NBI clearance you can visit our website. 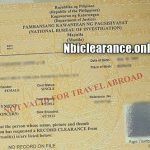 2 How to Renew NBI Clearance online?